The Red Room at Act II Stages was filled to capacity on Monday for the 5 pm show, “Walk Like a Man,” featuring singing sensation and former Star Search and Canadian Idol finalist, Paul Fracassi. Paul recently returned to Act II Stages with his hit show, “Walk like a Man,” an exciting tribute to the legendary New Jersey-based recording stars Frankie Valli and The Four Seasons, and other songs of the same pop era. His final two performances this season will be this Wednesday and Thursday, March 27 & 28 at 5 pm at The Red Room. 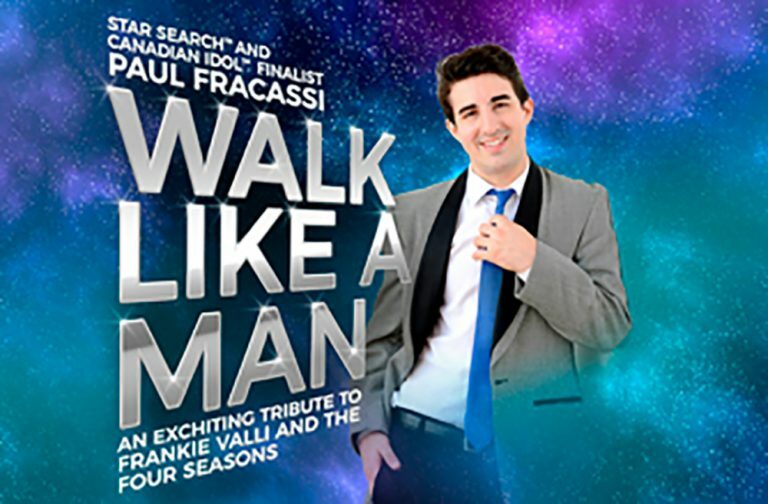 Paul Fracassi’s “Walk like a Man” is inspired by Jersey Boys, the hit movie and stage play about the life and times of The Four Seasons. This show is a sixties-style concert that presents a nostalgic look at The Four Seasons’ best-loved hits. Monday night’s exhilarating performance of the show included The Four Seasons songs, “Beggin,’” “Sherry”, “Big Girls Don’t Cry”, “Can’t Take My Eyes Off Of You ” and “Who Loves You” We also heard Elvis Presley’s “Blue Moon” and Roy Orbison’s “Pretty Woman” and “Crying.” Otis Redding’s “Dock of the Bay” was fantastic, along with Frankie Valli’s “Grease.” We also loved the Sinatra favorite, “My Way” and enjoyed a great version of the favorite, “Unchained Melody” We were treated to the Bee Gees’ “Stayin’ Alive” and were romanced by the Everly Brothers’ tune, “Let It Be Me” Paul even dedicated The Four Seasons’, “My Eyes Adored You,” to an adorable, young, couple in the audience! “Walk Like a Man” delivered the signature beats and beautiful harmonies of this nostalgic music that we hold so dear! Paul’s vocals, dancing and choreography were simply superb in a performance that we won’t soon forget.! And no one captures the thrilling falsetto and dance moves of this phenomenal musical era, like Paul Fracassi does!